1. Listen to live music. Austin&apos;s celebrated live music scene includes more than 250 live music venues with just about every genre represented; this is the Live Music Capital of the World® after all! 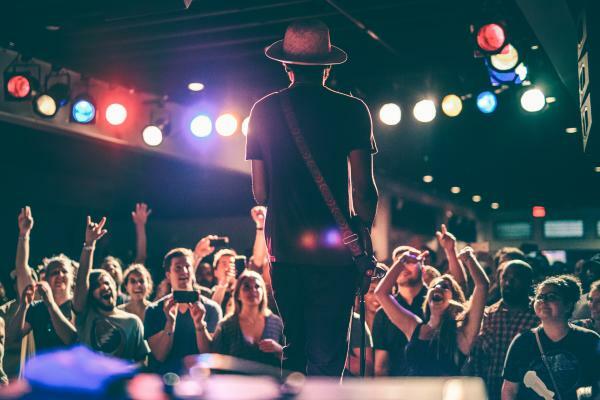 We recommend checking out one of Austin&apos;s many iconic music venues. A few favorites include ACL Live at the Moody Theater (where the famed public television show is filmed) The Saxon Pub, Hotel Vegas, Antone&apos;s and the White Horse for a little two-steppin’ fun! 2. Take a Tour. For a fun and Austin experience, go on an expedition with one of Austin’s many local tour companies. Get a taste of the best food trucks in town with Austin Eats Food Tours, see the city from two weeks with a Rocket Electrics electric bike tour, go behind the scenes at ACL Live at the Moody Theater or see the top sights in 90 minutes with AO Tours. There&apos;s something for everyone! 3. Get outdoors. The Lady Bird Lake Hike & Bike Trail is just steps from the Austin Convention Center and is a great way to run catch a stunning view of Austin&apos;s skyline. 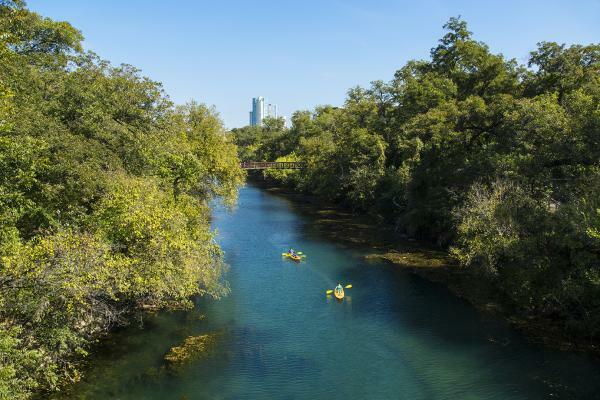 Or, spend a sunny afternoon in a kayak or stand up paddleboard on the lake, hike the Barton Creek Greenbelt, take a refreshing dip in historic Barton Springs Pool or play 18 holes at one of Austin&apos;s many scenic golf courses. 4. Visit a film location. Austin was recently named by Moviemaker magazine as one of the "Best Places to Live and Work as a Moviemaker." Film buffs should visit locations from movies and shows filmed in and around Austin including Boyhood, Dazed and Confused and True Grit. Keep an eye out, you may even spot a big name filming around town! 5. Enjoy one of Austin&apos;s many bars for cocktails, Texas wine or craft beer. 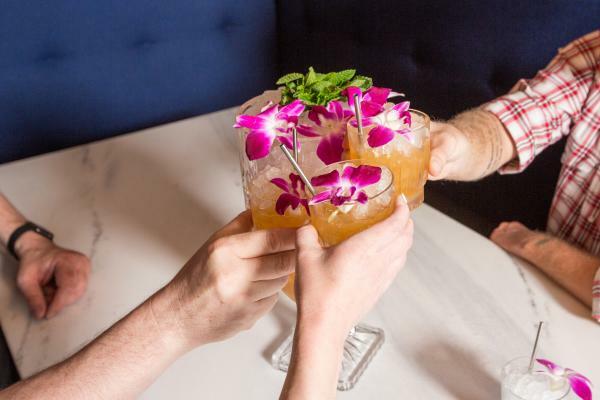 Make a new friend and get to know each other over a margarita or locally distilled craft cocktail with Tito’s Vodka. From grapevines to hops, Austin serves up local, craft libations sure to please every palate. Be sure to visit one of our local craft breweries on the weekend for a pint and a tour, or spend an afternoon exploring the scenic Hill Country wine trail. 6. Witness International Racing in Action. It&apos;s no secret that this is a sports town. And we have the world-class facilities to prove it. Visit Circuit of The Americas, the first purpose-built Grand Prix facility in the U.S., for annual events like the Formula 1 United States Grand Prix, MotoGP™ Red Bull Grand Prix of the Americas, the FIA World Rallycross Championship and the Pirelli World Challenge. Sunroom Boutique. Courtesy of South Congress Hotel. 7. Shop Local on South Congress. Vintage shops, used bookstores and unique gift shops abound in this eclectic, funky stretch studded with casual eateries, cafes and bars. 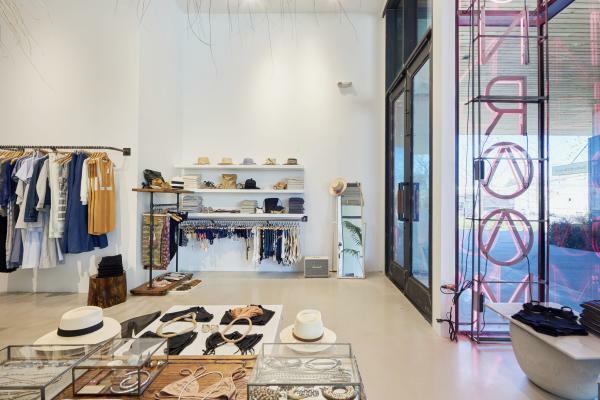 While you’re here, marvel at the costumes at Lucy in Disguise with Diamonds, shop Mexican folk art and jewelry at Tesoros Trading Company, find your next staple piece at Sunroom and pick up a pair of cowboy boots at Allens Boots. Guys won’t want to miss the trendy styles at hot spots like Co-Star and Service Menswear. 8. Go bat watching. Yes. Bats! Austin has the largest urban bat colony in North America. Park yourself near the Congress Avenue Bridge at dusk or take a sunset cruise on Lady Bird Lake from April to October to witness more than 1.5 million bats spiral into the summer sunset. 9. Eat barbecue and Tex-Mex. 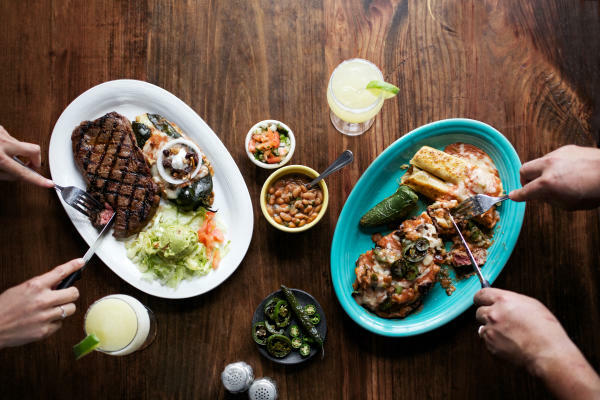 You shouldn’t visit Austin without trying what we&apos;re most known for - BBQ and Tex-Mex. There are too many spots to name for just one visit, but it’s hard to go wrong with a tray overflowing with slow-smoked brisket or foil-wrapped tacos direct from a food trailer. Wondering where to begin? Here’s a good rule of thumb: the longer the line, the better. If you don&apos;t eat meat, don’t worry. Many iconic restaurants around town serve up a selection of vegetarian and vegan options. But remember, vegetarians can eat queso too! We&apos;re also known for our unique food trucks, which can be found all over town. If you leave hungry, you&apos;re just not doing it right.